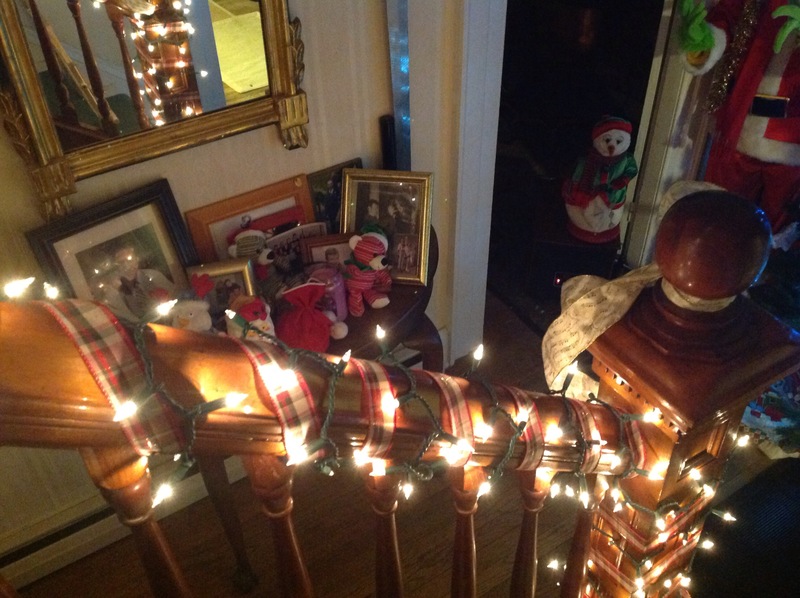 This year we went a little different with the banister, my husband wanted the lights to be tighter and greater in number, I experimented with wrapping the red and green plaid ribbon around the banister parallel to the lights. 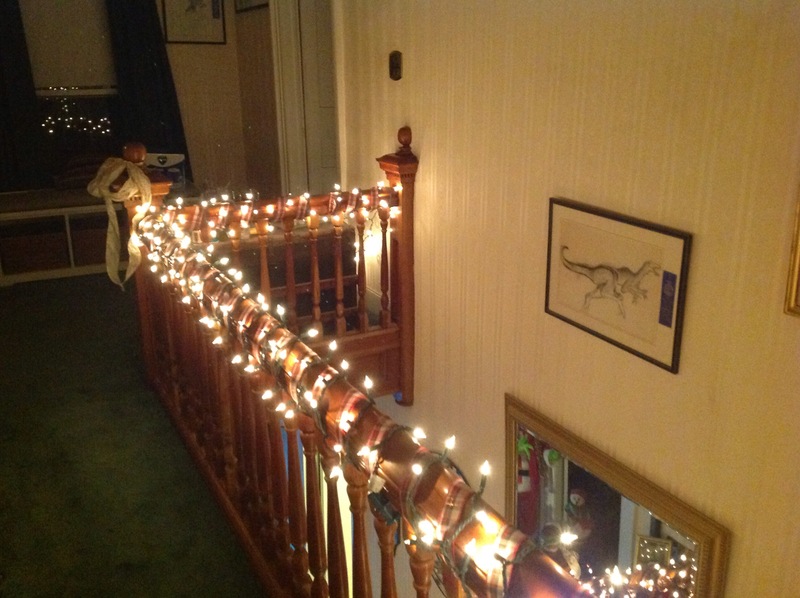 I like it, I had previously spaced the lights and used garland to highlight the banister, but this year the children put the garland on the tree, so I wasn’t sure what to use to accent the lights, we were at Michael’s the other day when I saw the red and green plaid ribbon and boom it came to me. Initially I wasn’t sure my choice would work, now looking at the results, I think it did. 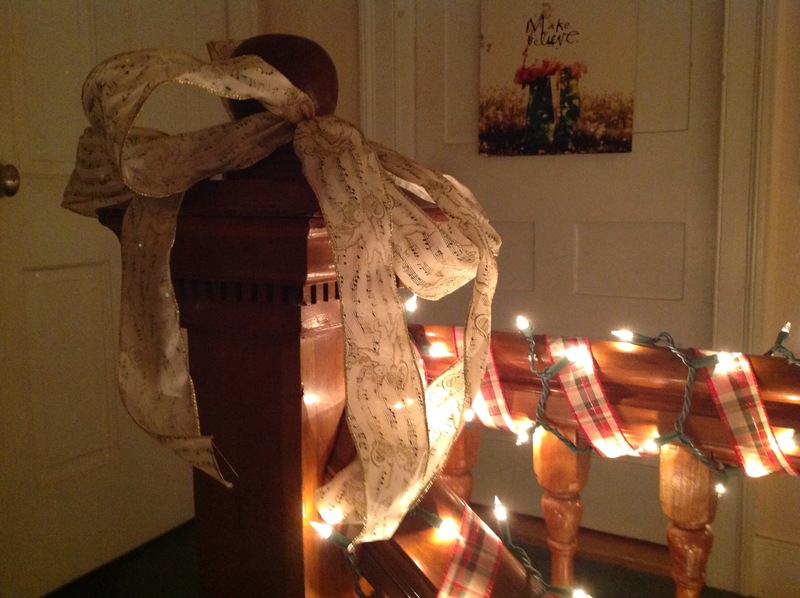 I am a fool for beautiful ribbons.